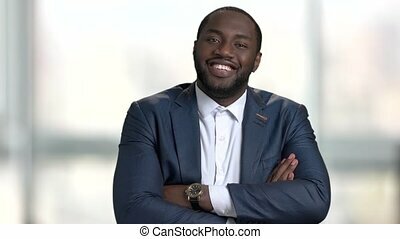 Black businessman satisfied with good news. 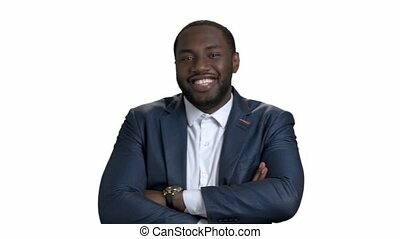 portrait of embarrassed smiling afro-american manager on blurred background. 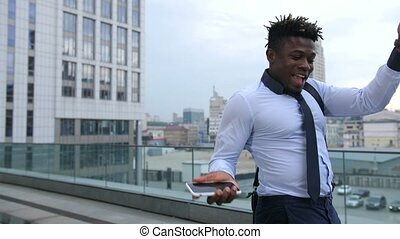 Black Businessman Satisfied With Good News. 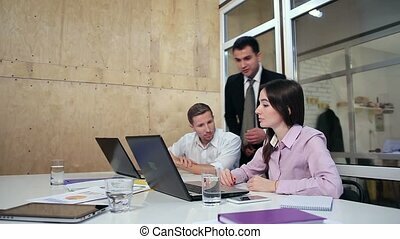 Team leader is satisfied with volume of sales and proud of his business team. 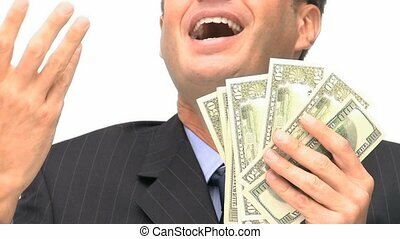 Young executive showing a significant growth of company earnings to his colleagues and praising the work of employees. 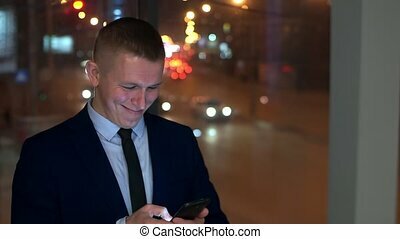 Man-businessman reading good news in the smartphone, smiling, near the window with the night city. Slow motion, the camera moves. Slow motion. 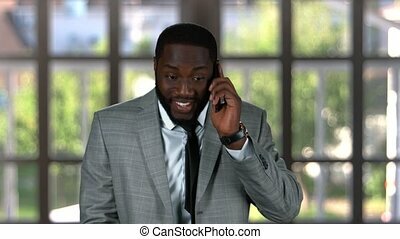 Black businessman with phone smiling. 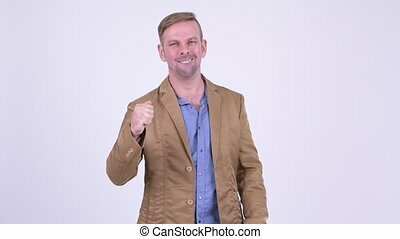 Happy guy on street background. Flirting tips for guys. 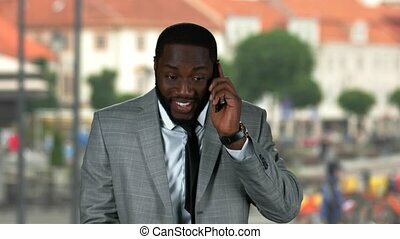 Black businessman with mobile phone. 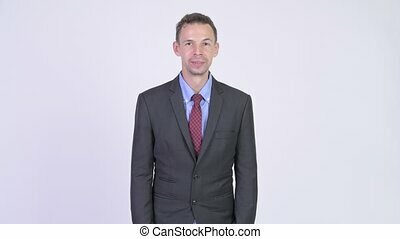 Smiling man on city background. Psychology of success. 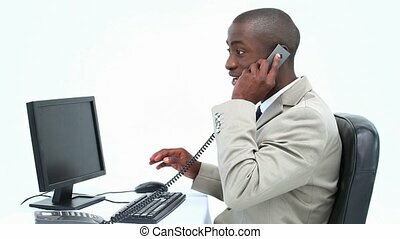 Smiling black businessman with phone. 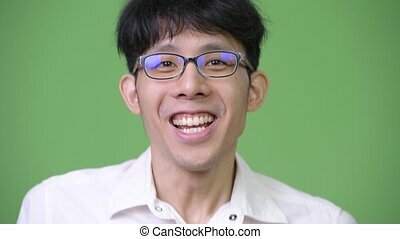 Happy guy on green background. Few sweet words. 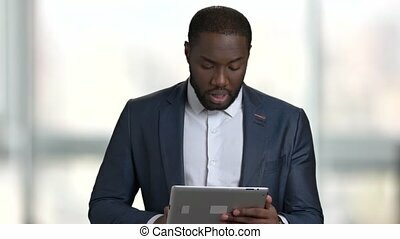 Black businessman with interrogative expression. 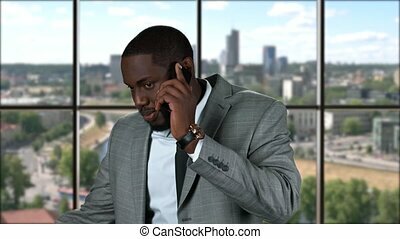 Afro-american businessman is expecting for a right answer. Human body language. 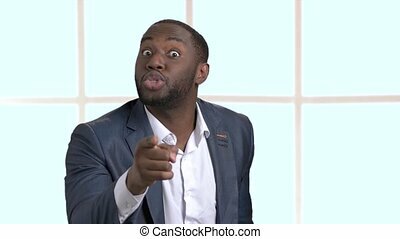 Displeased black businessman gesturing with finger. 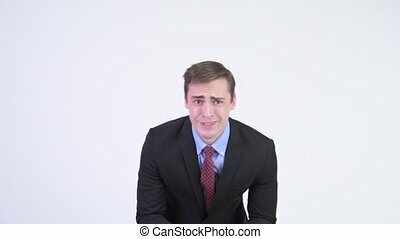 Dark-skinned man in business suit looking irritated on blurred background. Black annoyed businessman pointing with finger. 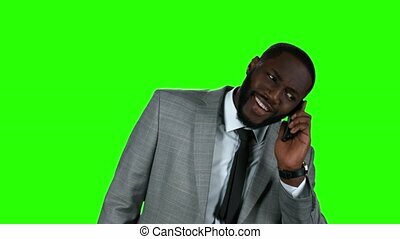 Irritted african-american entrepreneur arguing and indicating with finger on someone on blurred background. 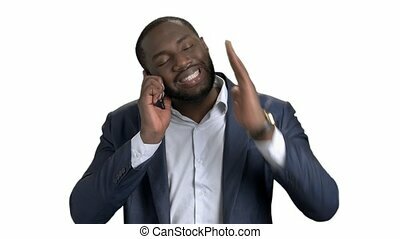 Black businessman gesturing with index finger. 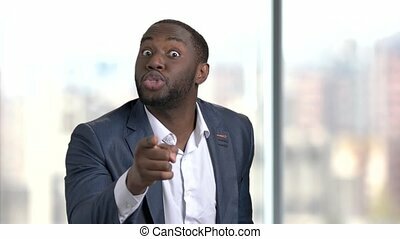 Afro-american man in business suit is arguing with someone and pointing with finger forward. 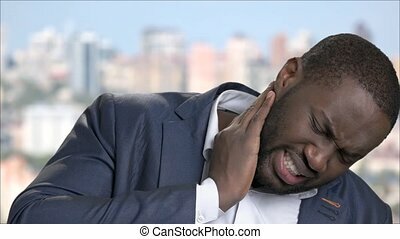 Face of black businessman with nape pain. 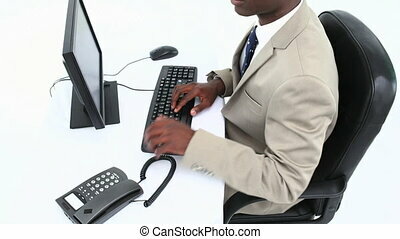 Close up dark-skinned man in business suit suffering from terrible neck pain. Stress, fatigue, illness. 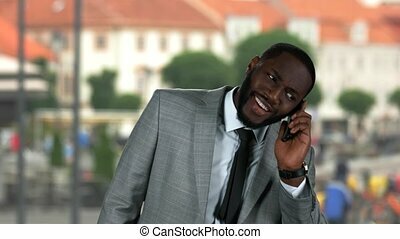 Black businessman arguing with someone on phone. 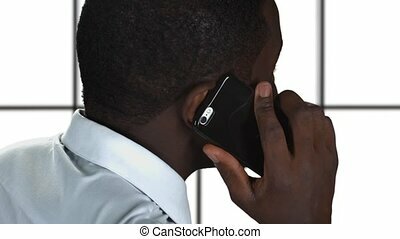 African american man talking on phone, disagree with someone and checking time on watch. White isolated background. 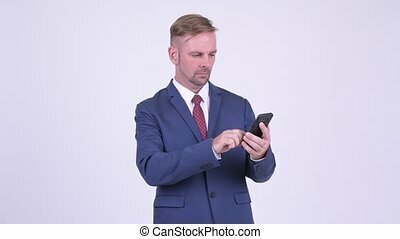 Smiling businessman with phone. 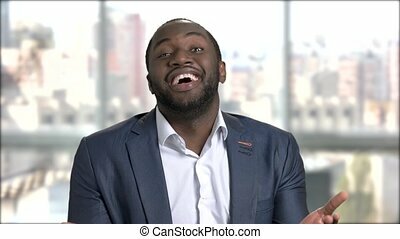 Happy black guy indoors. I miss you too. 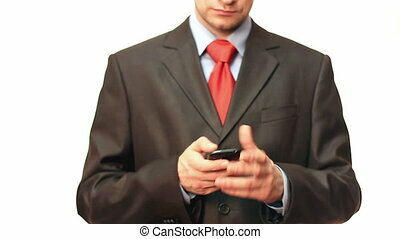 Businessman with phone smiling. 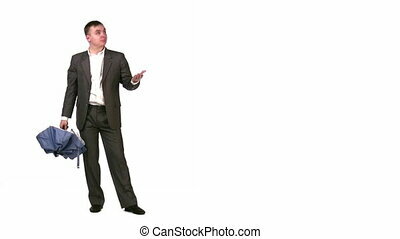 Black guy on street background. I'll be home soon.